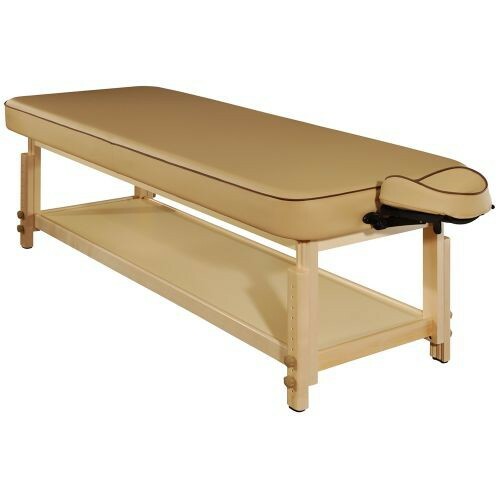 Harvey-Comfort Stationary Massage Table Package is a treatment table designed with Memory Foam and small cell foam layers for optimal patient comfort. Featuring a three-inch CloudySoft Sponge system and silky smooth Skintouch PU upholstery to provide extreme exterior comfort, this treatment table includes the innovative Patent Pending ErgoCaptain Deluxe Face Cradle. 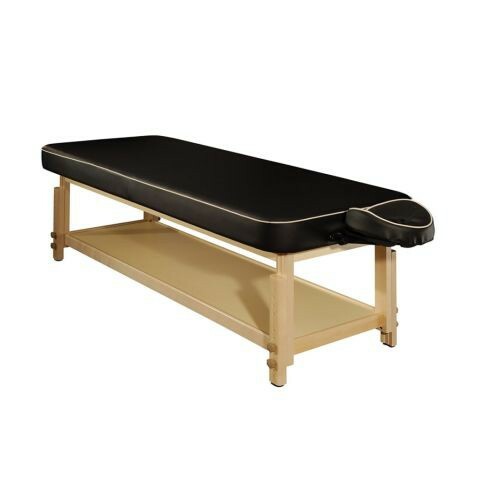 Harvey-Comfort Stationary Massage Table Package is equipped with soft, eco-friendly upholstery in a choice of classy black or a soothing beige color. Simultaneously oil and waterproof, this table is constructed from European Polished Beech Wood and has a Natural Dura seal protective finish. You might also be interested in similar treatment table products that we carry, such as Treatment Table with Adjustable Backrest. Features a 3 inch CloudySoft Sponge system and silky smooth Skintouch PU upholstery to provide extreme exterior comfort. Comes with visually appealing Elegant Sewing Crafts. Includes the innovative Patent Pending ErgoCaptain Deluxe Face Cradle and Patent Pending LeafTalk Face Cushion. Designed with silky soft eco friendly skin touch upholstery. Equipped with upholstery with denim-like reinforcement backing for extra durability. European Polished Beech Wood with a Natural Dura seal Protective Finish.